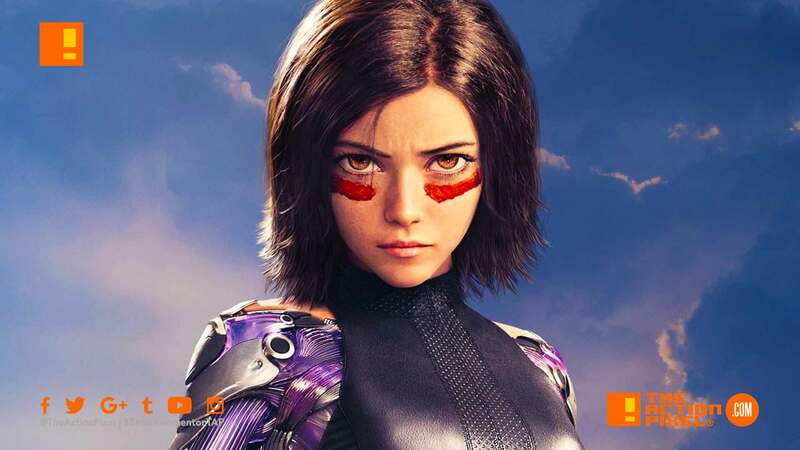 As Alita pretties and readies herself with war paint for the coming manga film adaptation, Alita: Battle Angel reveals new character posters. Alita: Battle Angel is directed by Robert Rodriguez starring Rosa Salazar as Alita, Eiza González as Nyssiana, Michelle Rodriguez as Gelda, Jennifer Connelly as Chiren, with Christoph Waltz as Dr. Dyson Ido, Jeff Fahey as McTeague, Ed Skrein as Zapan, Mahershala Ali as Vector, Casper Van Dien as Amok, Lana Condor as Koyomi and Jackie Earle Haley. As Alita learns to navigate her new life and the treacherous streets of Iron City, Ido tries to shield her from her mysterious history while her street-smart new friend Hugo (KeeanJohnson) offers instead to help trigger her memories. But it is only when the deadly and corrupt forces that run the city come after Alita that she discovers a clue to her past – she has unique fighting abilities that those in power will stop at nothing to control. If she can stay out of their grasp, she could be the key to saving her friends, her family and the world she’s grown to love.